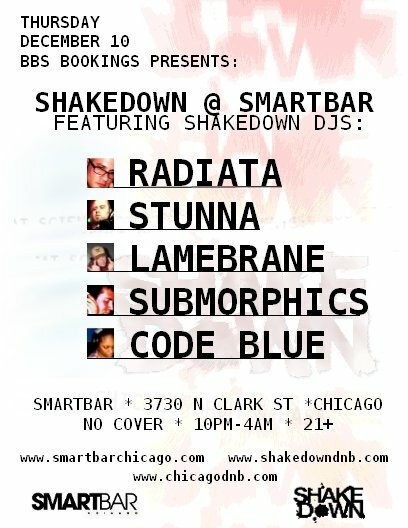 I’m playing Shakedown at Smart Bar tonight. Come. Me, Stunna, Submorphics, Lamebrane and Radiata. This entry was posted in Drum n Bass, Mixes and tagged Code Blue, Lamebrane, LM1, Radiata, Shakedown, Smart Bar, Stunna, Submorphics. Bookmark the permalink.